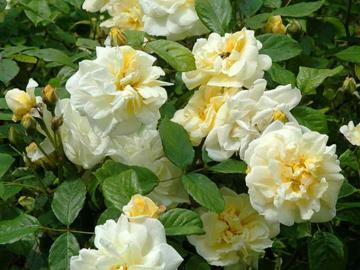 Shrub rose with long stems bearing large clusters of fragrant, double, pale creamy yellow flowers in summer. Best in fertile, moist, well drained soil in sub or part shade. Tolerant of poorer soils and shadier sites. Can be trained as a bush or climber.